The B.A.R. model (Best All Rounder) was introduced as Bates top-of-the-line road model around 1939. 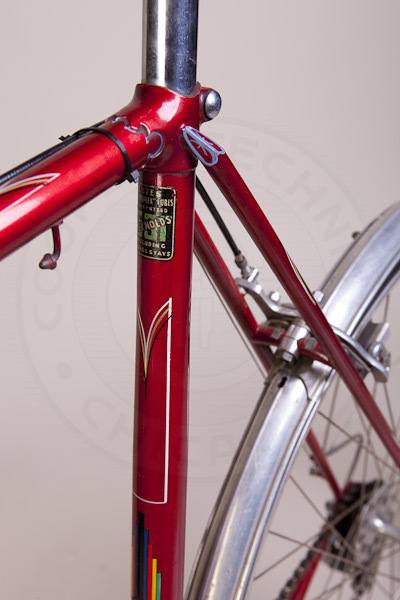 This particular frame, built in November 1950, was custom ordered with chrome-plated head lugs of the Volante model. It still has its original paint, elaborate box lining and decals. Bates of London was known for innovative and unusual frame ideas. 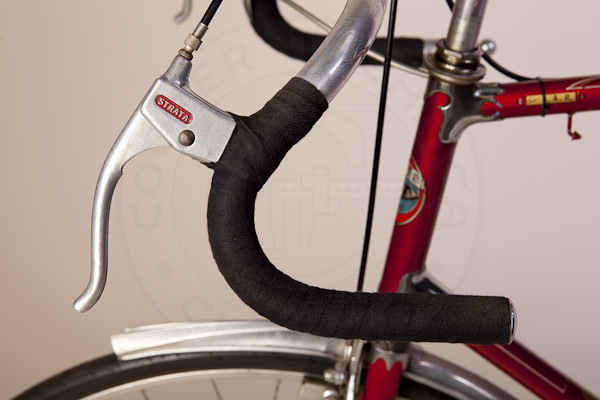 Cantiflex tubing, patented by Horace Bates, solved a problem of making a frame stiffer, with a increased diameter in the center of each main tube, but still using standard size lugs. As this unique tubing was double-butted it did not add weight. Diadrant forks were another Bates innovation. 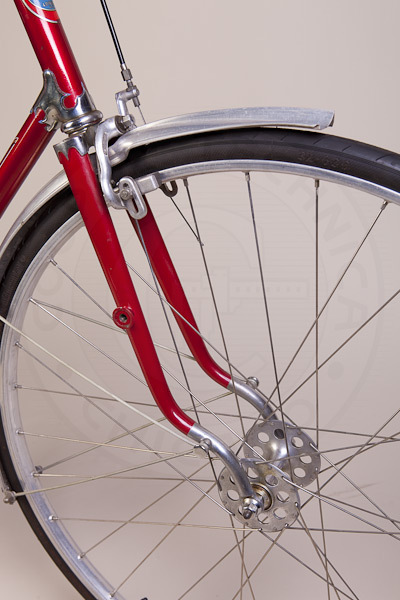 The idea was to add flex to the fork to damp out road bumps and provide a smoother ride. 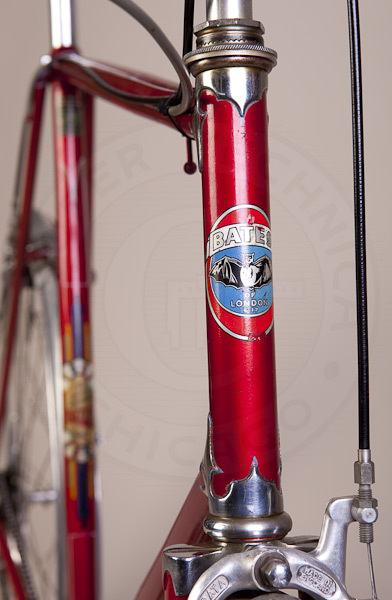 The fork design had the added benefit of making Bates cycles recognizable at a distance. 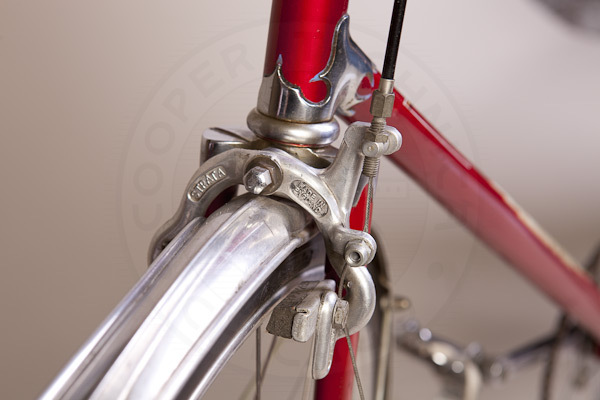 Do these frame ideas work? The ride is excellent, stable and responsive, so I would say yes. 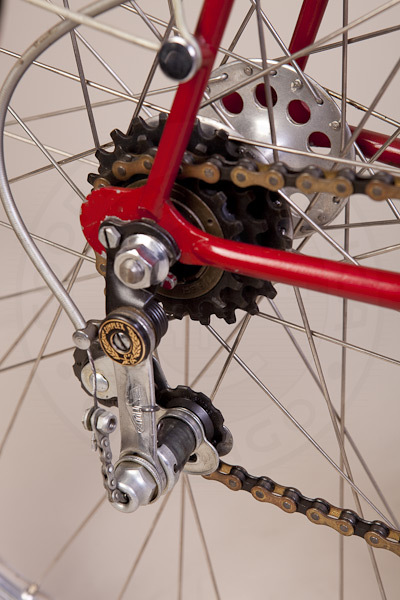 I assembled the Bates with period components; Strata brakes and stem, a Williams C1000 crankset, Reynolds Marsh handlebars, GB bar end lever and Simplex three-speed rear derailleur, Harden hubs, Mansfield Bath Road saddle, and Lyotard MB 23 pedals with Strata adjustable toe clips. 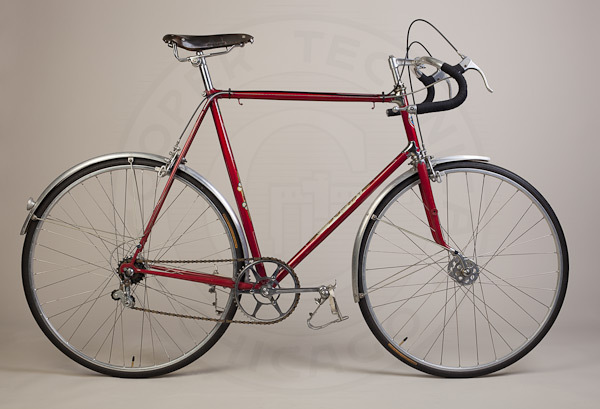 1950 Bates of London B.A.R.